I don't know how to defend my instincts. 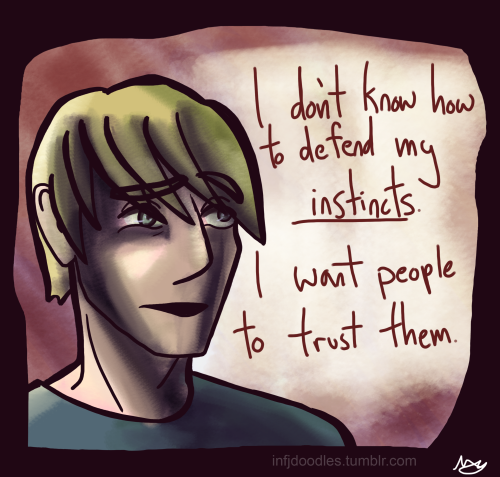 I want people to trust them. Jonathan (ENFP) was talking about his frustration about being asked for data or asked validate his intuition. He’ll find himself having to sludge through references, getting really drained just to “prove” something he intuitively knew.